The premier novel of the French Revolution, by England's greatest author Set against the bloodthirsty backdrop of revolutionary France, this monumental saga-one of the most famous works in all of literature-is at its heart the story of a beautiful woman and the two men who compete for her love: Charles Darnay, a French aristocrat who renounces his heritage, yet stands accused of treason in the rush to the guillotine, and Sydney Carton, a disillusioned English barrister who finds his salvation in the ultimate act of sacrifice. Full of rich historical details and populated by a sprawling cast of characters, Charles Dickens's masterwork is epic in every sense of the word. Yet its finest achievement may be the intimate moments shared by three people who have the foresight and the courage to see beyond the chaos that surrounds them. 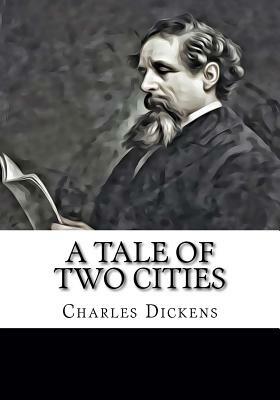 A novel whose contradictions are laid bare from the very start-"It was the best of times, it was the worst of times"-A Tale of Two Cities is the stuff of life, and great art.